Anna Ekman and Cecilia Järdemar explore the relationship between Persbo Studio and its history as an active Missionary Church. Taking as a starting point a glass-plate negative found in the archive of The Swedish Covenant Church they articulate the difficult and multi-faceted relationship between the congregations in Sweden who funded the missionaries activities overseas and the local population living within the missionary fields somewhere in what was then Belgian Congo. A reverb from the original meeting between the Swedish missionary and the Congolese men today resound within the linden tree arbour at Persbo Studio, when the viewer occupies the space of the preacher in front of the pulpit. The portrayed men’s eyes look back, and in their humanity remind us of how individuals living far from Persbo were affected by the activities that once took place here. 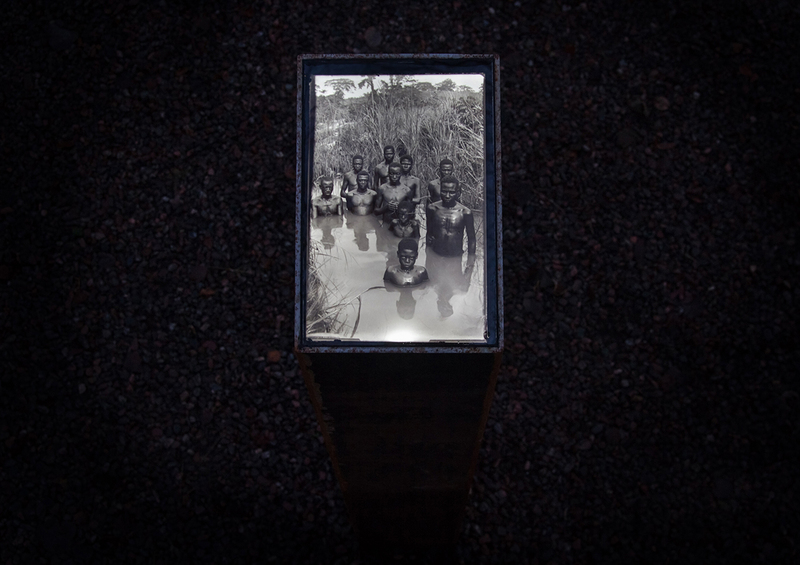 Re: visioning Congo- Sweden through a dry plate archive is a project around historical dry-plate photographs from the Swedish Mission fields in the Congo 1890-1930, confronting issues around curating and re-coding colonial photography archives and photo-repatriation. Inspired by Stanley’s travels in the Congo delta, Svenska Missionskyrkan started sending missionaries to the area in the 1880’s, and Sweden was soon one of the biggest operators there. The opening of the missionary fields coincided with the rapid spread of photographic techniques, and the camera’s ability to meet, collect and construct the world was soon intrinsically linked with colonialism and the Christian missions. 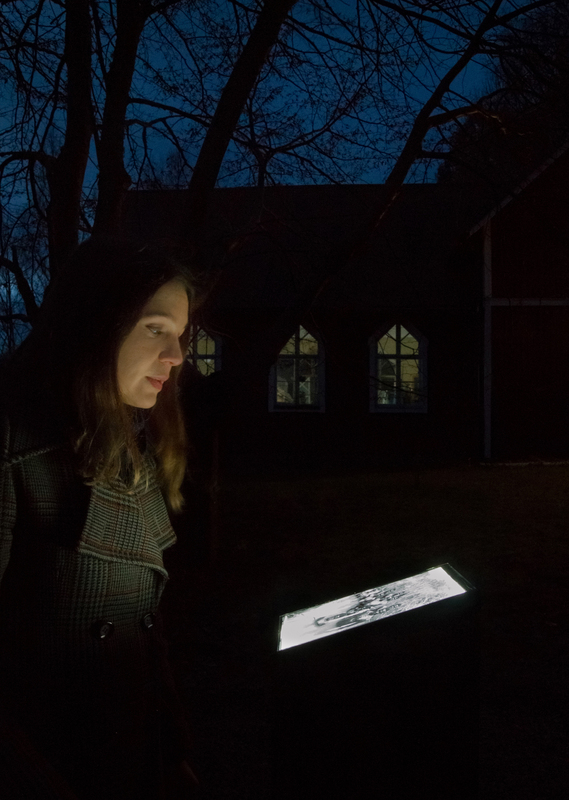 Svenska Missionskyrkan sent cameras out with their missionaries, and the resulting photographs were used as a medium for enticing the home parishes to donate and collect funds for the missionary stations. It is clear that the missionaries consciously arranged the images to fit into a predestined narrative about their role as saviour, and depicted the local people as ‘other’, alienating and exoticising them in the process. It wasn’t “Africa that came close to us” writes Raoul J. Granquist when he describes Missionsförbundets travelling exhibit from the Congo, it was Sweden who came close – Africa was denied. At the same time, the touring lantern plate-presentations in the countryside engendered a longing for elsewhere in the viewers, often entrenched in a reality marked by poverty and lack of opportunities.